Sun-soaked compositions, groovy beats and contagious horn lines that will transport you to sunnier climes and contagiously get the whole room dancing! 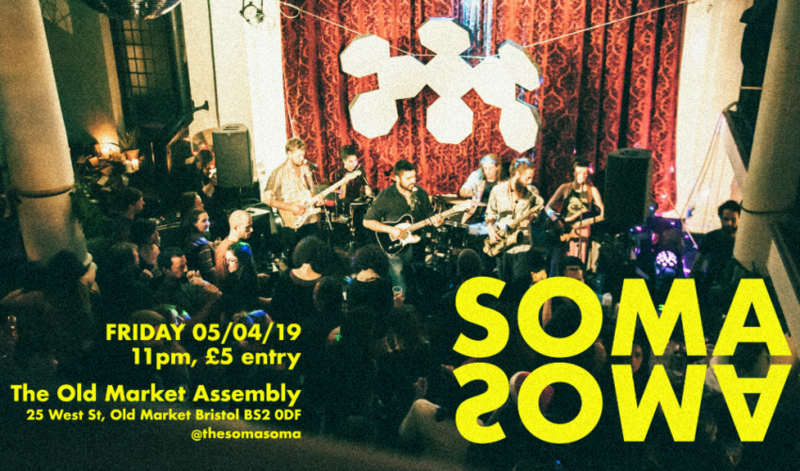 Formed in Falmouth back in 2011, this now Bristol based group are renowned for their distinctive fusion of samba, hi-life, afrobeat and bossa. Their sun-soaked compositions, groovy beats and contagious horn lines will transport you to sunnier climes. Their Afro-Latin influences are sure to leave you energised. Expect to dance from start to finish and sing along (even if you can’t speak Portuguese) to their captivating melodies. 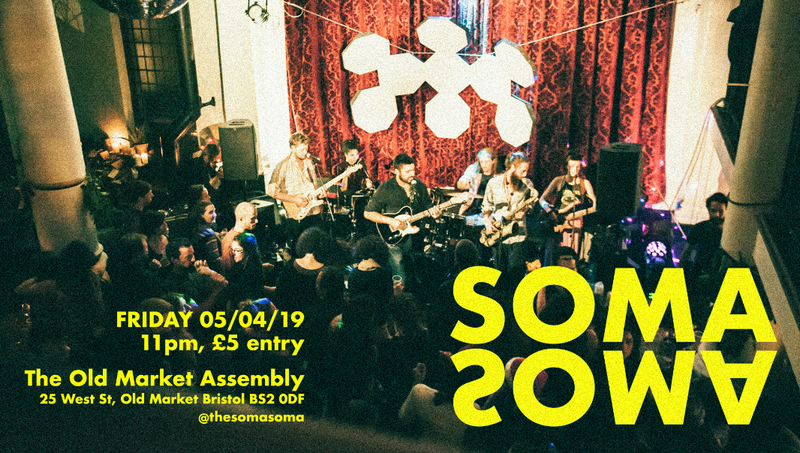 We can’t wait to have SOMA SOMA back on our stage!